Younique is a social network based direct sales company that sells a full line of all natural mineral based cosmetics for women. Their products are all natural, organic, mineral based and free of parabens, oils, chemicals, synthetic fragrances, and cheap fillers (such as talc). 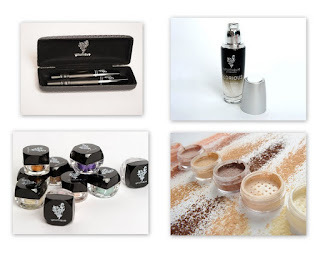 Their Moodstruck line consists of their top selling 3D Fiber Lashes, mineral eye pigments, concealers, blushers, primers, as well as face and eye brushes that are all made of authentic goat and pony hair, and are 100% cruelty free. 3D Fiber lashes and eye pigments: 2 of their best sellers. Both of these products are amazing and I fell in love with them. The 3D fiber lashes are easy to work with and create amazing results. Enhance your lashes up to 300%! The eye pigment can be used wet as an eyeliner or dry as an eye shadow. These pigments are amazing. Very vivid colors and smooth application, they have a gorgeous shimmer and really make your eyes stand out! Concealer: This concealer is wonderful! Easily cover blemishes, dark spots, and under eye circles with this powdered all natural concealer. Its not cakey nor does it leave a masking look, very clean and flawless appearance while using it, and it lasts all day! Primer: A must have staple in your beauty regimen. The primer is applied to your bare skin before applying any makeup. It creates a smooth canvas in which to create your masterpiece! This clear odorless formula leaves skin silky smooth with a porcelain finish. It is sweat proof and lasts all day. I love this product! My makeup lasts all day while using the primer and I love the way it makes my skin feel! So far all of the products I have tried from Younique have been amazing! This is a great company with great products being offered. If you haven't tried out any of Younique's products I would recommend you do. You can view all of Younique's products on Stephanie's website www.youniqueproducts.com/stephanieparham or check out her facebook page for specials and upcoming deals and specials! Keep an eye out for a special giveaway starting August 6th. Stephanie will be offering a $40.00 Gift Card as a prize in the giveaway!